Home > RELATIONSHIP > World Smallest Woman, Jyoti Amge Finally Gets Married. World Smallest Woman, Jyoti Amge Finally Gets Married. Jyoti Amge, world’s smallest and shortest woman according to the Guinness World Book of Records, has finally tied the knot. ..
Amge married the love of her life, a man who has promised to love her till the end of time. 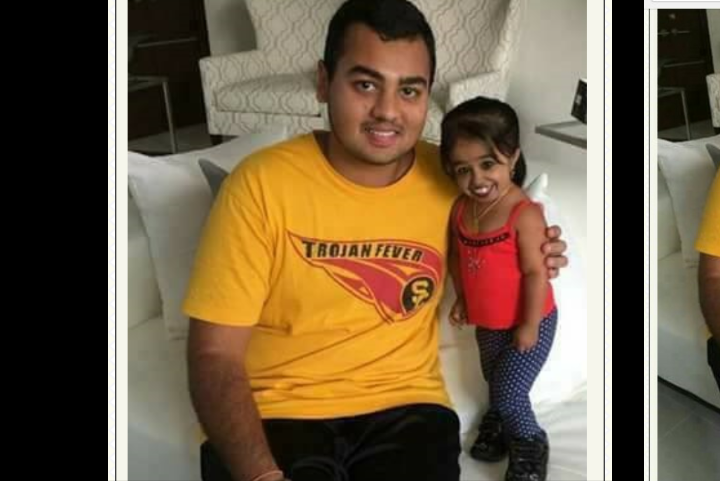 Jyoti Amge who was born on 16 December, 1993, was on her 18th birthday officially declared the world’s smallest woman by Guinness World Records with a height of 62.8 centimeters (2 ft 0.6 in). Her restricted height is due to a growth abnormality called achondroplasia.